Sometimes you like the house you live in but just need an extra room. That's what we did with our Mini Skinny - our hugely popular card case; we added one extra "room" and opened it up on one side for those that like easy access, fresh air, and the ability to move things around quickly. 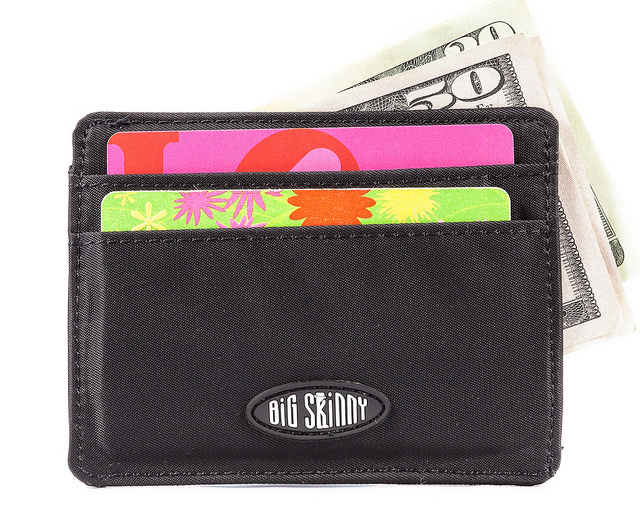 Instead of just having on opening from the top like our other mini skinny card cases, you can now slide cards and cash into the middle compartment through the open side as well. A divider was added in the middle compartment so you can separate your goods. 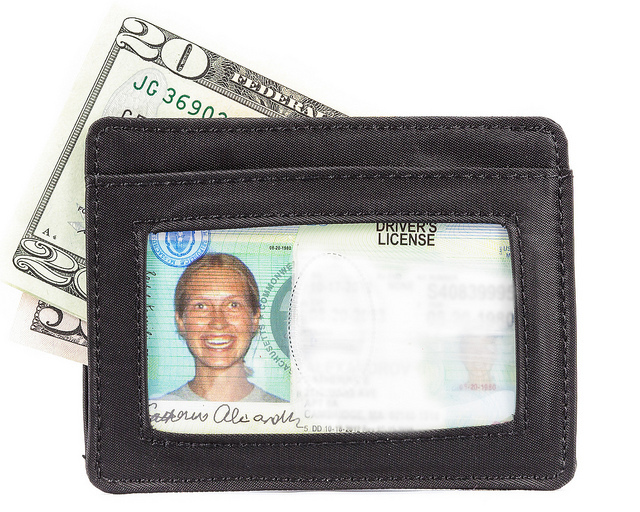 Two pockets on the front accommodate three plastic cards each and the clear ID pocket on the reverse accommodates about three plastic cards also. 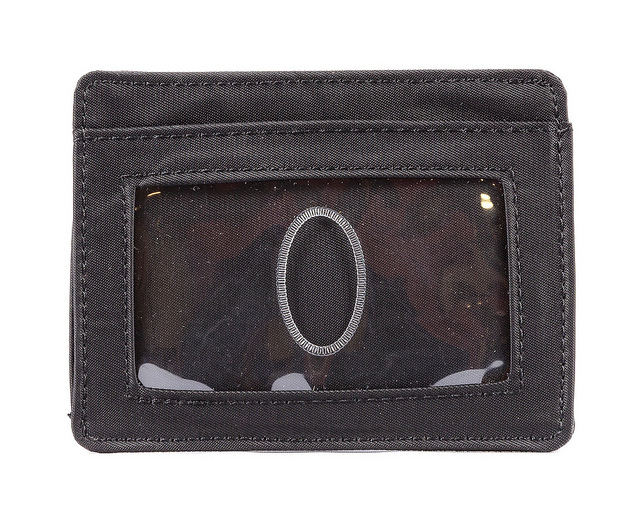 In total, this card case/money holder can carry about 12 plastic cards because you can also put extra plastic cards in the middle along with your cash money. It's like having a screen porch door on your card case, easy to peek into and open and close and with plenty of fresh air so your money stays green. But don't worry, even with that new side opening--you still have our special rubbery coating on the reverse of our material that keeps your goods safe from gravity. 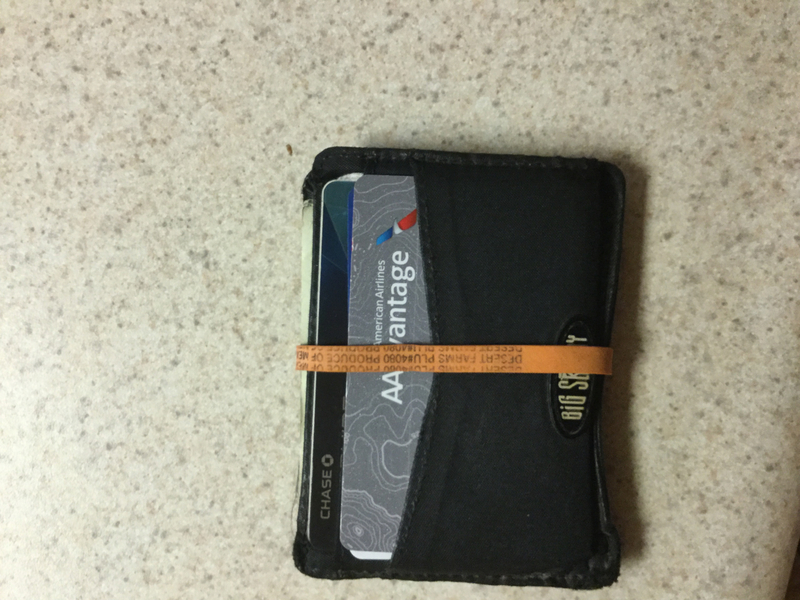 Due to a recent change in purses, I needed a very thin wallet, that would take up as little space as possible, but still wanted one that would hold more than two or three cards. After some looking around, I discovered big skinny and decided to try them out. I am very glad I did. This was just what I was looking for and works great. 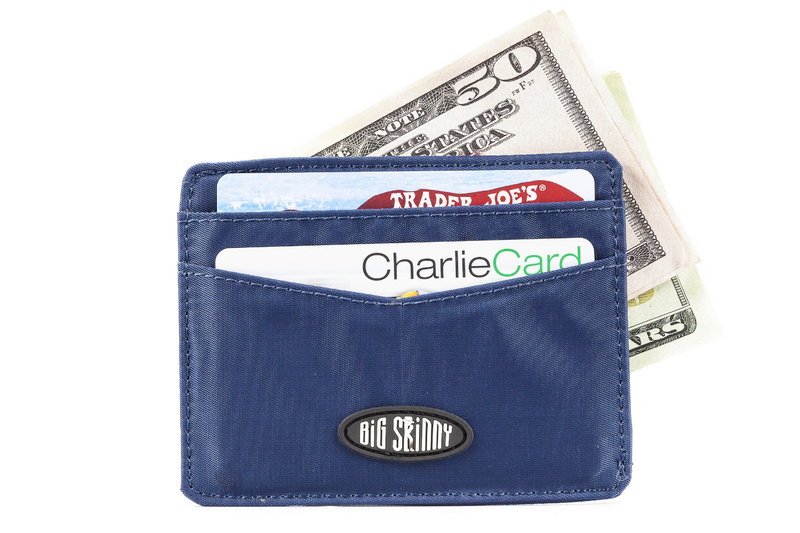 The wallet is just as slim as advertised, attractive, and holds a number of cards while fitting just about anywhere. The design makes it easy to use. Although I have only had it now for about a month, it seems sturdy and I'm sure I will use it for years to come. Thanks for a great product! 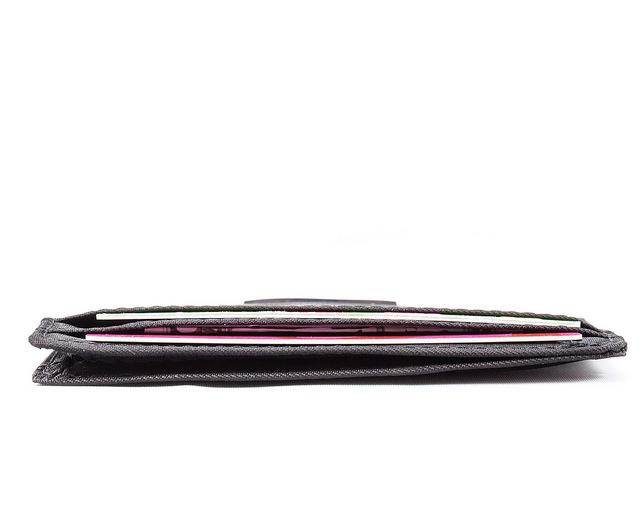 Extremely well made, light & thin simple wallet. The divider in the center is very sturdy. 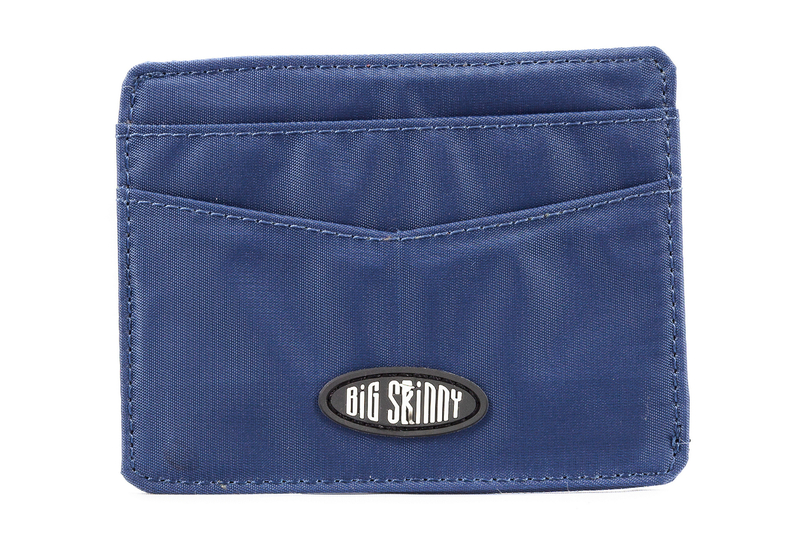 This is the original mini skinny. I�€™ve use this for years. Minimalist wallet but it holds everything you need. Very little pocket bulge. I have added a small rubber band (from fresh produce) around it to be sure nothing falls out. OC style. See photo. Needed a minimalist wallet for the summer time small errands and travel. This is perfect to hold some cash, hotel room, id, and a credit card. 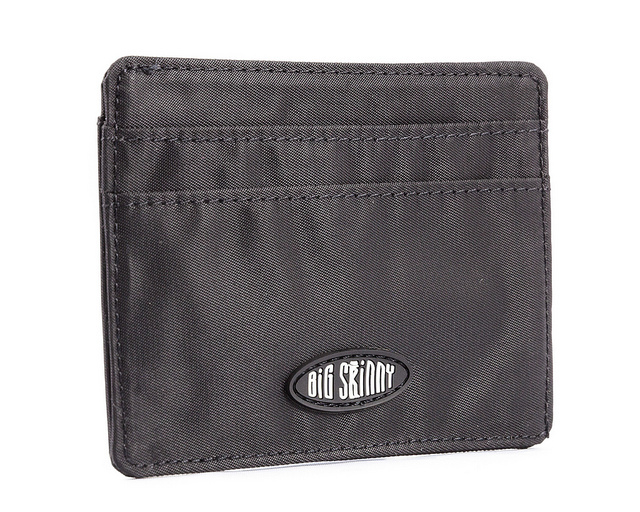 ( You could probably hold more, at least 3 cards per slot) Like this wallet specially for the summer pants, shorts or ultra thin wind breakers because you can securely carry all your stuff without that wallet bulge that is specially noticeable with today's slim fashion. ProsSlim, perfect for travel or short errands around town. ConsCould have a more minimalist logo that lays flat. 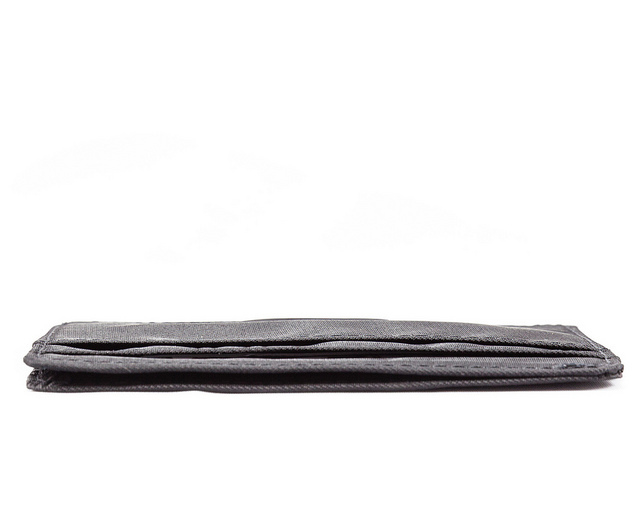 Super Slim, holds everything in one neat package in my left front pocket! TY for a great product. This wallet is exactly what I had been looking for. It fits in my shirt pocket and is light as a feather. The quality of the materials is excellent. Thanks for making such an innovative and useful product! I've been carrying this for years. I am a woman and I hate carrying a purse, so this is ideal for a jeans pocket or coat/jacket pocket. 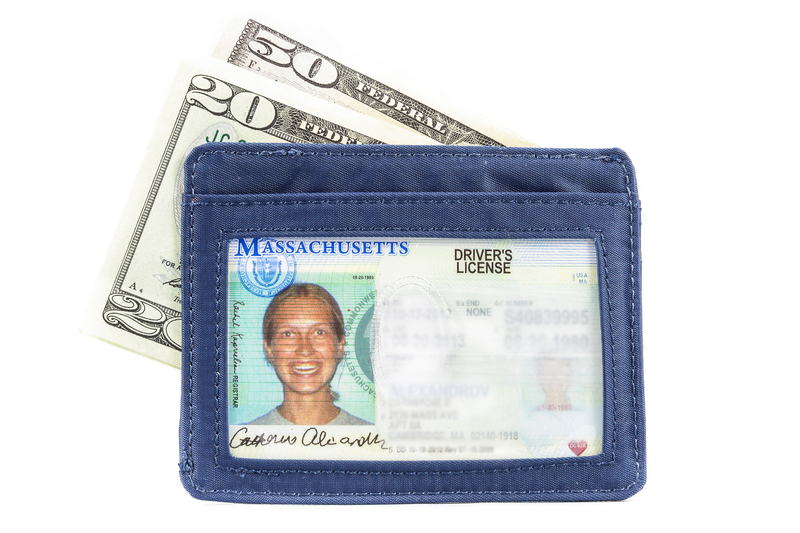 I carry my driver's license, debit card, a couple of credit cards, train pass, my notary license and folded cash. Occasionally I throw it into my Panther Clutch which holds shopping cards, insurance cards, gift cards, and my checkbook & phone. It's a great system for me, but I really carry this alone about 90% of the time. My only wish is that they made a version without the clear ID window. I really hate those windows. I would much rather see the plastic ID side have the same pockets as the other side, instead. Those windows are kind of pointless to me (everyone who wants to see your ID makes you remove it, anyway), and the thumb-hole in the middle of the plastic just leaves a dirty oval in the middle of your ID. Aside from that, it's perfect. The stitching has held up great over the years and it's as minimal as possible. ProsSuper thin, Holds a lot more than you'd imagine, Easy to stash in any pocket, Easy to slip your half-folded cash in and out of. ConsClear ID window is pointless. I was skeptical about ordering this, mainly because is was so inexpensive I thought it couldn't be very well made, but I was wrong. I had bought another "mini" wallet last year for much more than I paid for the "Big Skinny" and it was metal and very difficult to get cash and cards out and in. The Skinny is much lighter and much easier getting the card I want out and my cash too. It is much flatter and works very well from my front pocket. Anyone looking for a mini wallet, I would recommend this one wholeheartedly.